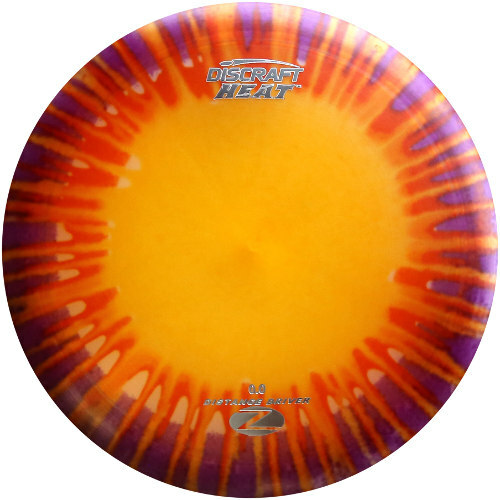 The Discraft Elite Z Dyed Heat is a stable maximum distance driver (0.0). This disc golf driver offers the most promising distance for developing players! The Heat has been hailed as a breakthrough for its ability to deliver big distance at slow arm speeds. It is a fast, small rimmed distance driver that offers plenty of glide.